The G6 is LG’s best phone yet. Equipped with an immersive display, the G6 improves on the best feature of the LG G5 while cherry picking the popular features from other Android phones. It’s a more conservative approach, but it’s a pretty awesome package. The Samsung Galaxy S8 will be a compelling choice, but the LG G6 is a viable alternative too. A more useful camera. The dual lens setup on the LG G6 offers so much more versatility as compared to the Galaxy S8. The traditional normal field of view shooter will hold its own too. It’s easier to hold. The Galaxy S8 is definitely prettier, and more polished in terms of overall build. The LG G6 isn’t it’s equal but still manages to hold it’s own. I used a S7 Edge previously, and honestly, using it near the edges wasn’t the best experience. Price and value. The LG G6 is cheaper than the S8 and S8 plus by about $150 to $300 and there is an ongoing promotion of a 49” LG TV with signup of a broadband plan. There’s also an additional 12 month warranty too. LG has a new Smart Instaview Fridge, that features Amazon Alexa and LG’s own webOS smart platform. Geeks can now shout at their fridge to check on their grocery shopping status and read digital post-it notes. Under the LG X Series, the new X Power offers extended battery life, and will be launched this Saturday, September 17 2016. It’s a phone with a 4,100 mAH battery, in a relatively compact body of 7.9mm. This phone is targete at those who need a long battery life. Be it frequently out and about salesperson or Pokemon Go Players. LG claims a 72 hour usage life on a single charge. The phone boasts Fast Charging, which is useful to fill up the 4,100 mAH battery. Time to full charge is approximately 1.8 hours thanks the Pump Express Plus technology (Mediatek QC alternative). It can also double up as a charger for other mobile devices by connecting them to the phone via the USB On the Go cable (USB OTG). There is the usual software optimisations from LG. The X Power runs on a Mediatek MT6735 , 2GB RAM, 16GB Internal Storage, and a 5.3″ 720P screen. NFC is included, so you have access to Android Pay. Unlike the flagship sibling, the X Power battery is non-removable. The X power will be retailing for S$298 from M1, Singtel, StarHub, and authorized LG retailers. 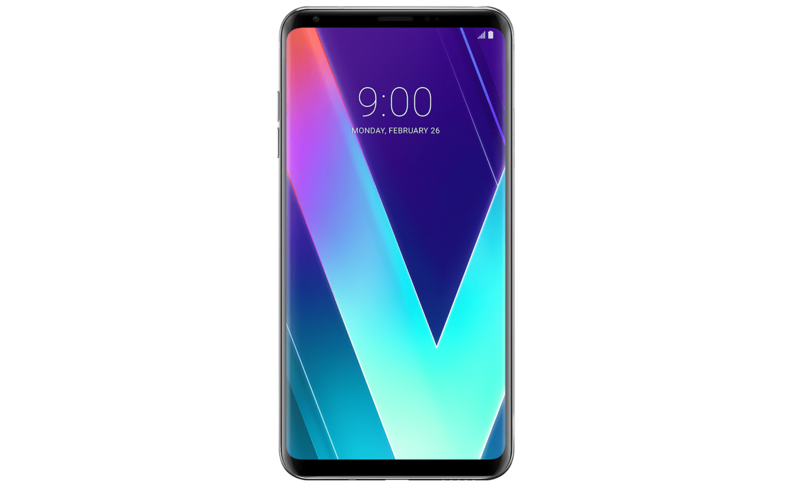 Each purchase comes with free LG premiums including a Transparent Jelly Case, Screen Protector and Reverse Charging Cable worth a total of $48, while stocks last. The X Power is probably too late to enter the Singapore market. Similar models are available from ASUS (Zenfone 3 Max) or Xiaomi (Redmi 3), which include useful additions such as fingerprint sensors. One plus point on the LG X Power is the fast charging support. Do you want a Android Flip Phone? Let’s face it, the phone you are using is getting bigger each year. At 2011, Samsung introduced Samsung Galaxy Note, its 5.3″ screen is consider as gigantic and was deemed as potential flop where everyone thinks it’s just too large for a proper usage. However, it did went on to be successful and right now we are at the 6th Generation with Galaxy Note7. In contrast, at 2016, ZTE just announced their latest Axon 7 Mini. The word ‘Mini’ would be misleading as the screen size is at 5.2″, which is just 0.1″ smaller comparing to 2011 giant Galaxy Note. While we can argue that with the improvement of design (especially with smaller screen bezel), it is easier to handle these phablet, but it’s still beyond comfortable one hand usage. With a sole touchscreen design getting more common each year, the only way to make significant difference is to go beyond the norm and introduce a unique phone design. Blackberry does it with the sliding keyboard on the Priv, however the average specification that can’t justify the expensive price tag is unable to bring Blackberry back to their previous glory. Here’s where Asia market came into picture, taking Japan as an example, 2016 will be the first time where Smartphone overtaking feature phone in the total mobile phone market share. In the past, as Japan are often advanced in their IT technologies, they have already been using cashless payment with their feature phone. Hence most of the population doesn’t feel the need to get a smartphone since their feature phone can get most of the task done. However as the younger generation started to use Android/iOS smartphone, feature phone without the ability to install application (such as Line, Whatsapp) created a communication gap. To close up the gap, Japan phone maker such as Sharp introduced a flip phone running on Android, hoping to attract both older & younger generation at the same time. On the other hand Korea phone maker, Samsung and LG brought smart-flip phone to Korea and China market. LG Introduced LG Wine/Gentle/Ice Cream Smart which based on same design and specification of Snapdragon 400. Samsung went further by tackling both lower & flagship market. Samsung introduced a Samsung Galaxy Golden in 2013 that feature dual touchscreen and continue to introduce a follow up with last year W2016 – technically known as a Galaxy S6 in Flip phone form. W2016 can only be purchased in China and costed more than SGD$1500 even in today’s market where S7/Note7 are widely available now. Thankfully for people who are on budget, Samsung doesn’t neglected lower end market by introducing Galaxy Folder last year and continue with Galaxy Folder 2 as follow up. According to leaked image and detail. Samsung Galaxy Folder 2 pack a 3.8″ WVGA display, running on the Snapdragon 425 along with 2GB RAM. Its expected pricing is around USD$285, a sweet spot for unique flip phone experience. Unfortunately, it is unlikely to be introduce in Singapore market given that almost no Android flip phone has been officially available in Singapore before. Would you like to get your hand on one of these unique phone? I would definitely like to experience it all over again given that my last flip phone is the Panasonic GD88 which is introduced in 2002. Last year LG created one of the best flagship with the lG G4. But with lower-than-competitors specs, LG G4 did not gained much attention in term of design & power. This year LG seeks to be able to hold themselves against competitors such as HTC & Samsung. The difference is this time round, G5 added a little trick to its phone – the Modular design. Without further ado, let us find out what has LG done this year. There have been concerns over the years that despite its premium positioning, LG G series has never truly felt like a flagship for the first few generations (we are looking at you too, Samsung). It was only until last year where leather back cover was introduced for G4 to showcase the premium look. This year, LG raised their own game by giving G5 a full metal cover, putting them on par with the rest of the flagship phone in this year market. It’s understandable why LG G5 move the volume buttons to the side, with so much features squeezed (We will touch on that in the latter part of the review) at the back of the phone, it may look overwhelming to keep a clean design. Rejoice! LG has finally added a fingerprint sensor on the power button, which is a slight disappointment on last year LG G4 when competitors ha been utilizing it 2 years ago. The fingerprint sensor is able to read & unlock phone almost instantly. To avoid accidental unlocking when you are trying to check notification or read the time, .do stick to the double tap feature since LG G2. You would be happy to know that Fast-charger is bundled with the retail unit this time round. LG G5 support up to QC 3.0 so you can quickly top up some battery juice before heading out. What is better than changing entire phone for just one component upgrade? LG has the answer for you which is the LG Friends. Basically utilized the bottom part of the phone as different modules to upgrade/add certain features. Now you do not have to look for another phone just for an upgrade on audio/camera experience anymore. LG Cam Plus is a camera add-on which provide physical button such as zoom & shutter button to give you a real camera experience. Interesting to note that despite the additional thickness for a better grip, LG Cam Plus has a 1,200mAh embedded battery to ensure that you don’t run out of juice during entire day of photography. LG 360 Cam LG 360 Cam is a dual lens handheld camera capable of taking 360 full view to produce a full surrounding photo similar to Google Map Street-view, best thing of all that it is not limited to LG G5. Anyone using Android (or even iOS) can easily download the 360 CAM companion app from their respective app store and start shooting right away. LG also joined the VR game with their LG 360 VR, unlike competitor like Samsung which required you to use the screen of the phone directly, LG 360 VR has its own screen so it won’t be as heavy as Samsung VR. Do note that it still required you to connect to your phone using USB cable for it to work. Additionally, there’s a interesting collaboration with Bang & Olufsen called LG Hi-Fi Plus with B&O Play. It’s a 32-bit Hi-Fi DAC and Amp to enhance your music experience. Personally I do not own a high quality headset or speaker thus it is tough for me to comment on it. You may wish to know that Hi-Fi Plus can be use as standalone device (connect the USB C cable to any other phone/computer) and you can enjoy high quality audio as a portable DAC. Sounds familiar? Because G5 has basically kept the same camera set up from G4, like what we usually said “if it ain’t broke don’t fix it”. What else can G5 do to standout without touching the outstanding camera from G4? Adding another camera! Additional wide-angle (135 degrees wide) is added at the rear together making it a dual rear camera setup. Just a warning, you can easily get your finger caught in the camera shot despite just holding the G5 like you always do. Just how wide the camera is? The answer – really wide! Despite having a larger aperture (F/2.4 vs F/1.8) and lower megapixels count (8 Megapixels vs 16 Megapixels), you still can make use of the manual control to take stunning photo like the one below. There is almost no need to take a panorama picture as the wide-angle camera is capable to capture more at once. G5 also kept its 8 megapixels front camera from G4. The results? Colours are accurate from bright outdoors lighting to dim areas. You can rest assured that your selfies (and wefies) are going to turn out well. Overall, LG G5 has been the most interesting phone that I’ve used in a long time. While the competitors are promoting the internal capabilities of the phone (better processors, larger RAM, bigger pixels count). LG G5 changeable modular design adds a refreshing touch to the flagship market by providing something different physically. If you are in the market for a new TV, you should check out the latest LG Lineup, it just might whet your appetite. For the grandest, look no further than the LG SIGNATURE OLED TV. It may not be the biggest panel (available in 65″ or 77″, but will impress guests with a as thin as four stacked credit card silhouette). It boasts advanced technologies such as an OLED panel, 4K resolution, OLED high dynamic range, Ultra HD Alliance’s (UHDA) HDR10 and Dolby Vision.